Walks in Westchester. 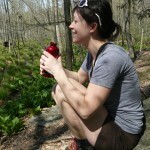 Hikes and Hiking in Westchester. 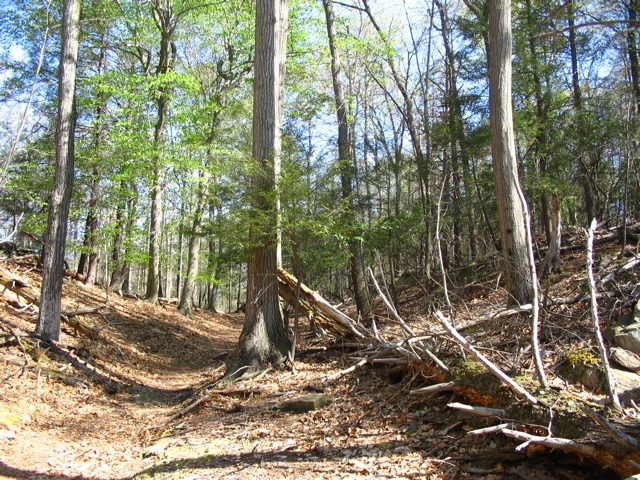 With a focus on Northern Westchester County, New York. Hiking and Walking Book and Equipment Reviews. A few weeks ago Cady Allen, a very good friend of my wife, was visiting from Toronto. She’d seen Woodlandwalks.org before, and when I asked her if she’d like to go on a walk the morning after she arrived, she heartily accepted. 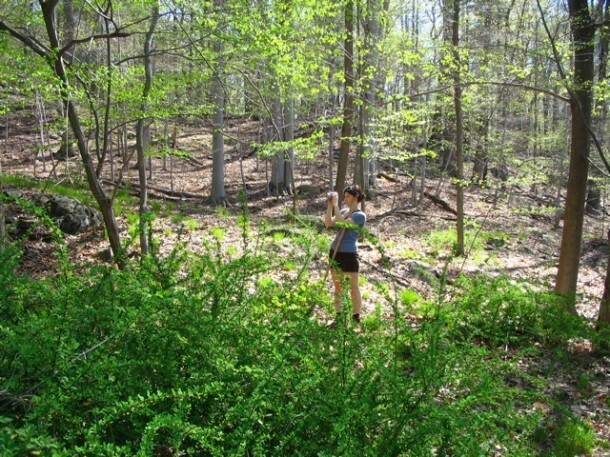 I decided to show her one of my favorite places in the area, the western parcel of the Meyer Preserve. 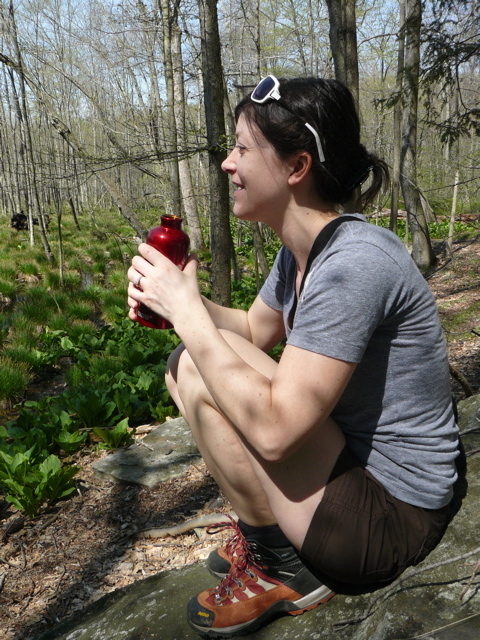 With its more varied terrain and gorgeous gorge, I was sure she’d enjoy it. 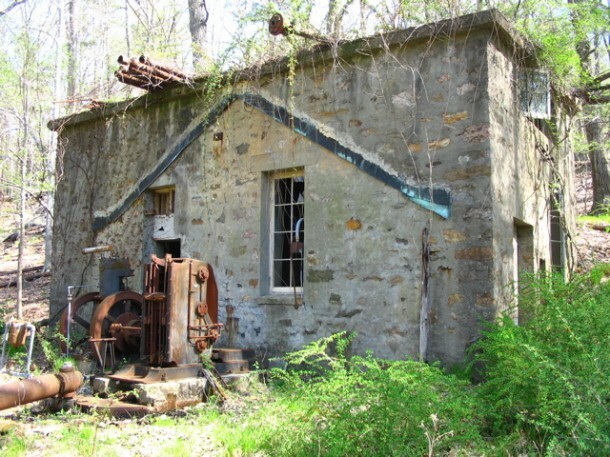 Also, I had discovered an old pump house right on the border of the preserve, at the end of an unused former trail, on a previous hike. We decided to take a look. I can’t say where it is, as it’s right on the edge of the adjacent property line, but it’s a treat if you can find it. The weather was great, and the trees (now fully) were filling out nicely. 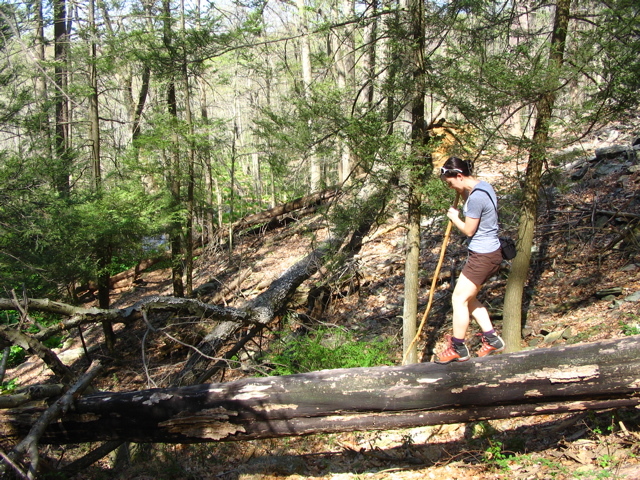 We grabbed a pair of hiking sticks and hit the trail. 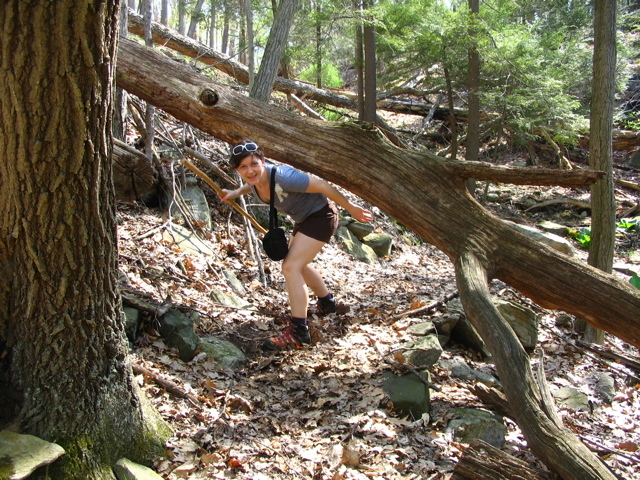 Cady's a good hiker and immediately proved her balancing competence on this downed tree. More downed trees didn't prove too much to navigate. I’m not sure why this pump house is here, though on the other side of the preserve is Byram Lake Reservoir, which supplies the village of Mount Kisco with water. Perhaps it’s related. 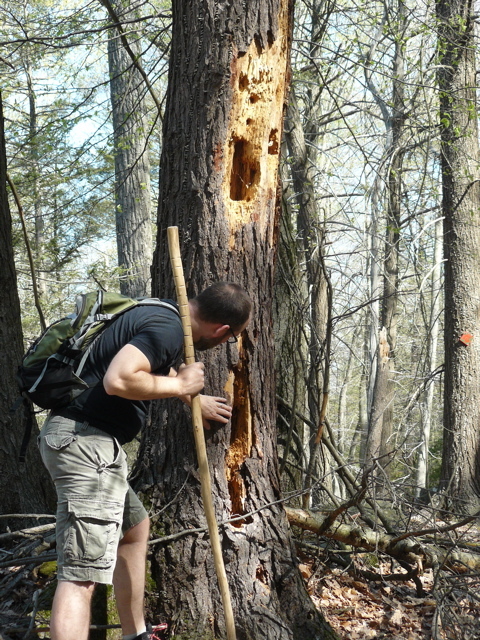 Woodpeckers have been hard at work on this snag. photo by Cady. 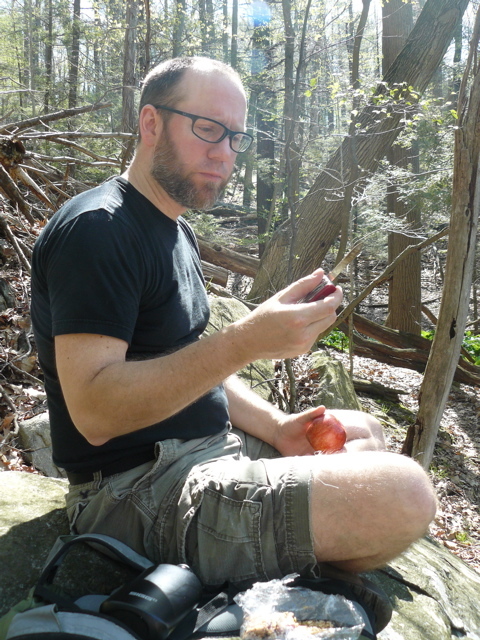 After a good hours worth of hiking it was time for a snack of apples and home-made granola bars. This entry was posted in Hikes and Walks, Meyer Nature Preserve on May 1, 2009 by Alex Smoller.